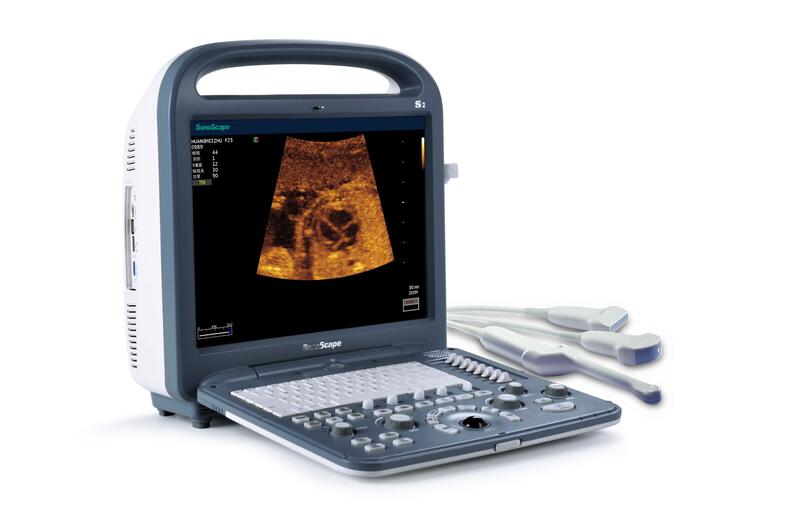 The SonoScape S2 portable ultrasound is a low-to-mid range color Doppler system known for its optimal image quality and low, affordable price. Nevertheless, the SonoScape S2 ultrasound is probably best known for its 2D imaging capacity. Although the SonoScape S2 isn’t powerful enough for your cardiology practice or a dedicated vascular lab, it’s advanced imaging and portability makes it a smart choice for needle guidance, small parts, rheumatology, orthopedic, MSK, pain management, anesthesia, or other superficial imaging. The release of the SonoScape S2 shows that you can get excellent image quality at a very low cost. The SonoScape S2 is one of the best price-performance machines available on the market. It has solid color and PW Doppler, as well, which makes this a great system for those on a budget.